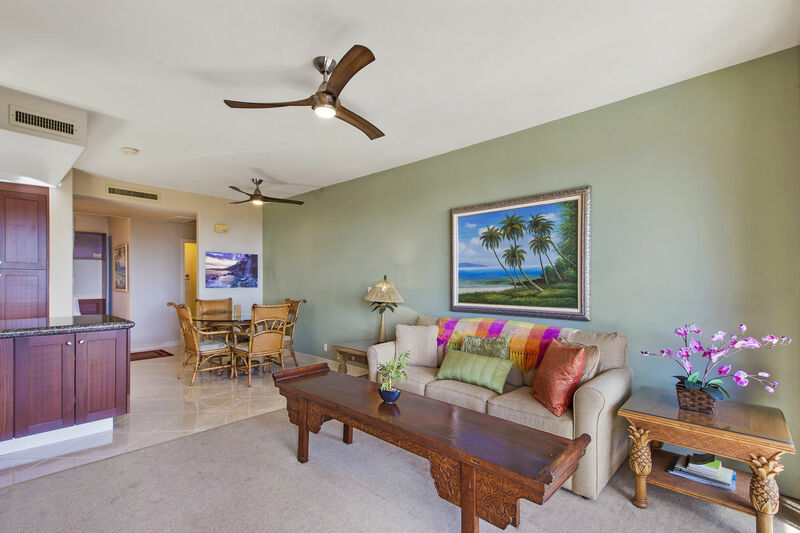 Welcome to one of the exclusive members of the Platinum Maui Vacation Ohana, Hale O 'aka'aka, which translates to 'Home of Laughter'. 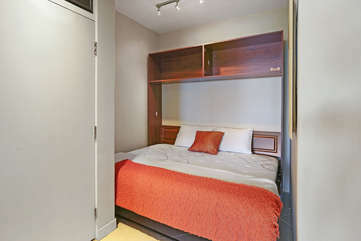 ~QUALITY QUEEN SIZE MURPHY BED W/ MEMORY FOAM MATTRESS INSTALLED IN CONVERTED SPACE OFFERING A COMFORTABLE ALTERNATIVE TO THE QUEEN SOFA SLEEPER OR AN ADDITIONAL GUEST (MAX 5 PEOPLE). 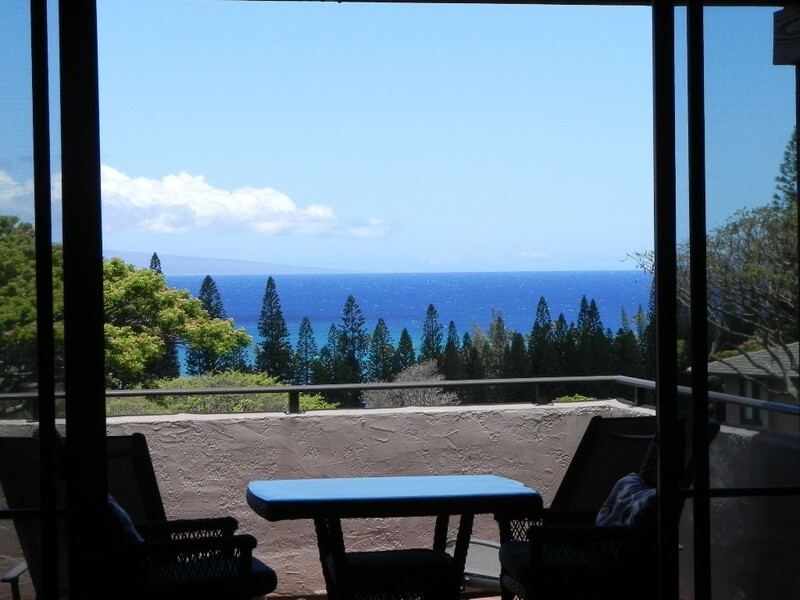 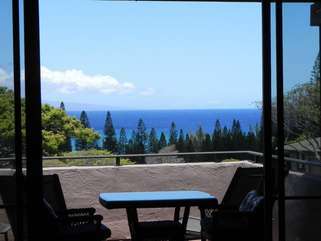 ~ADDITIONAL LANAI FURNITURE SET FOR 4 PEOPLE; (SETS UP HIGHER THAN MOST TO ALLOW FOR BETTER VIEW ADVANTAGE). ~ADDITIONAL ART PIECES AND NEW QUALITY CEILING FANS. 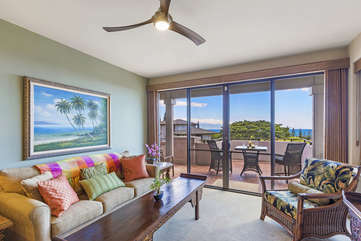 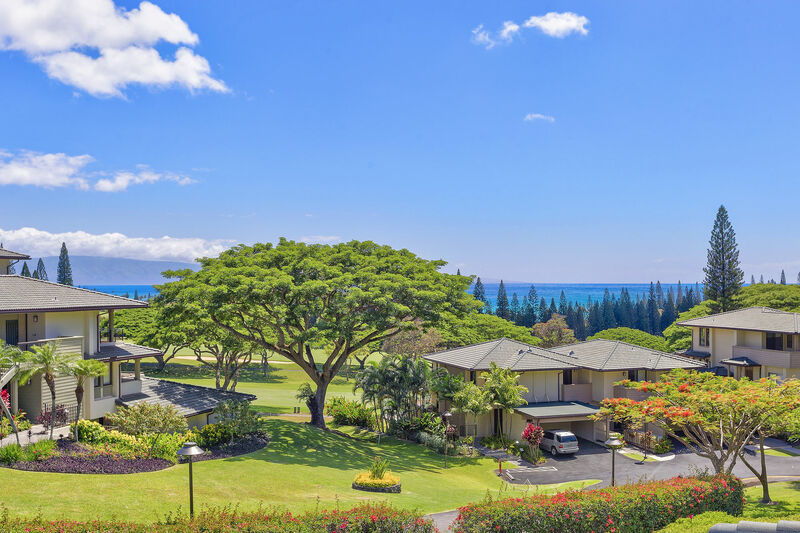 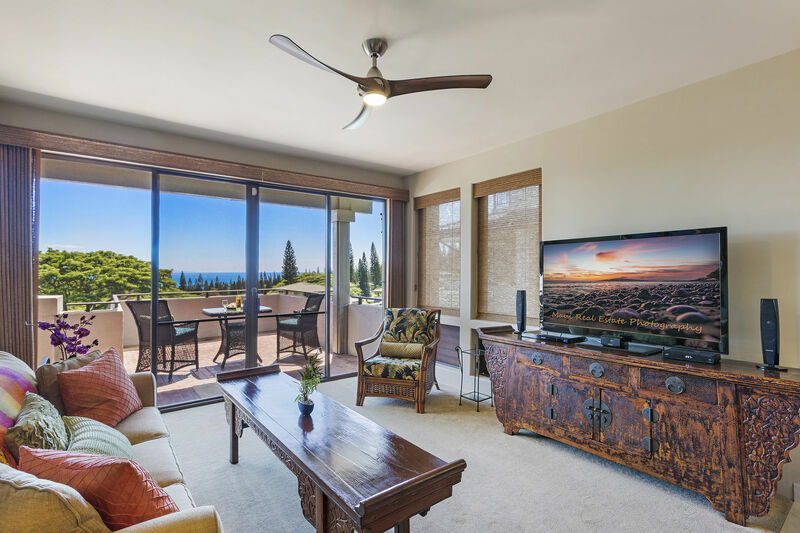 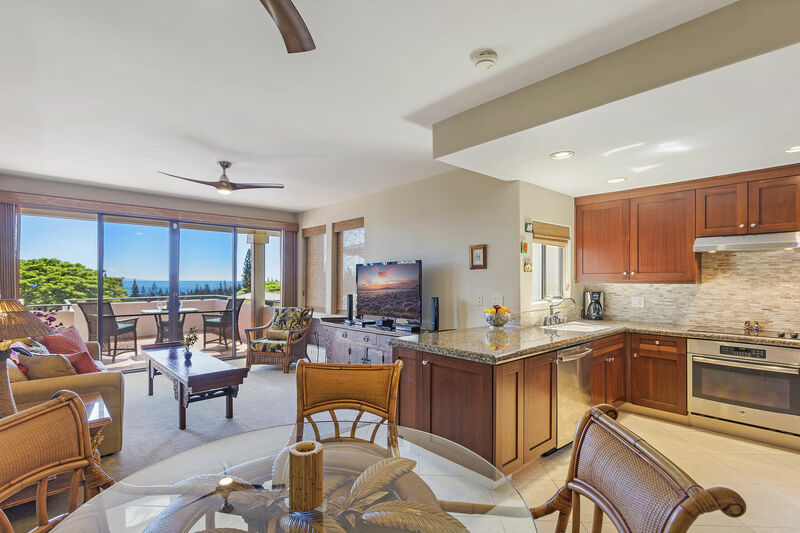 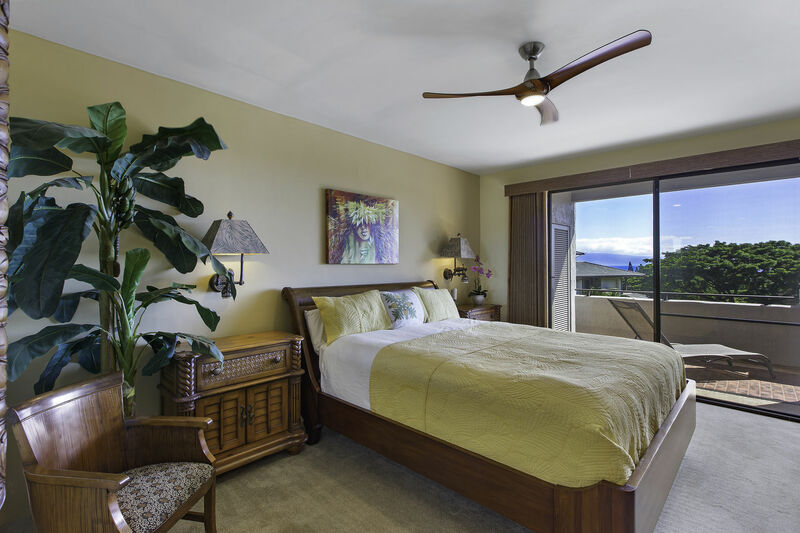 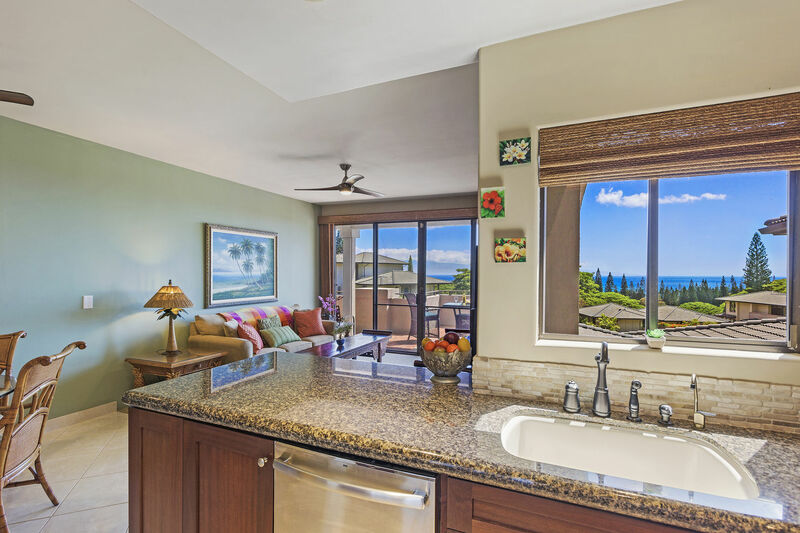 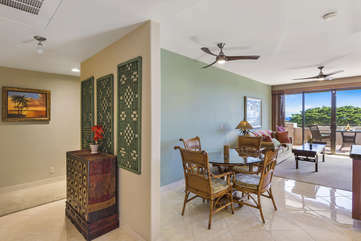 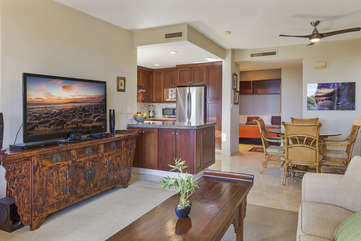 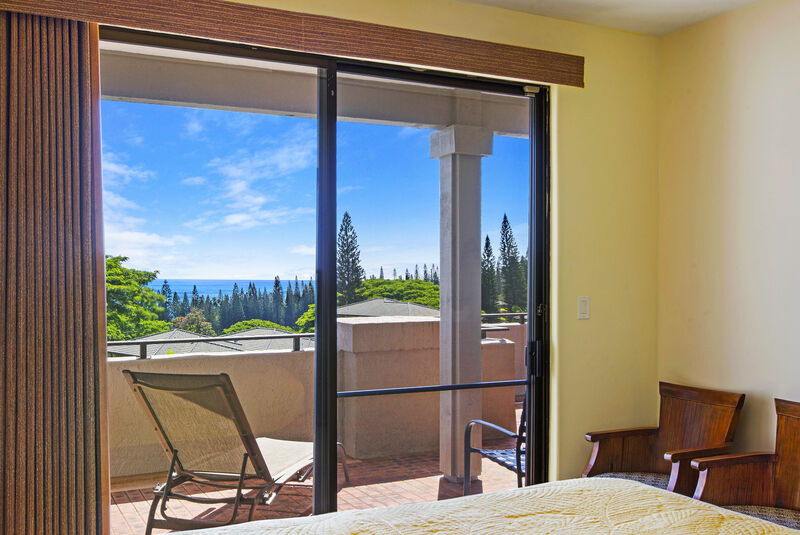 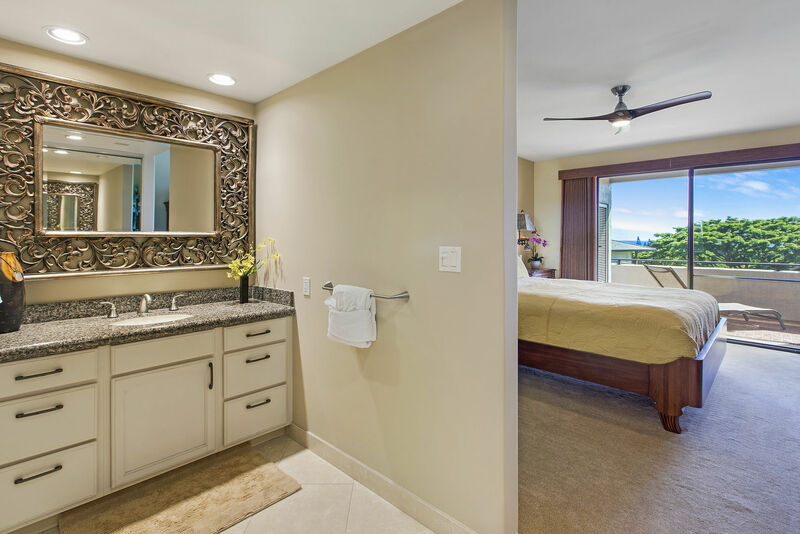 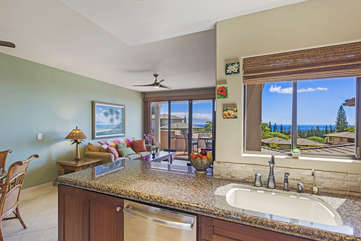 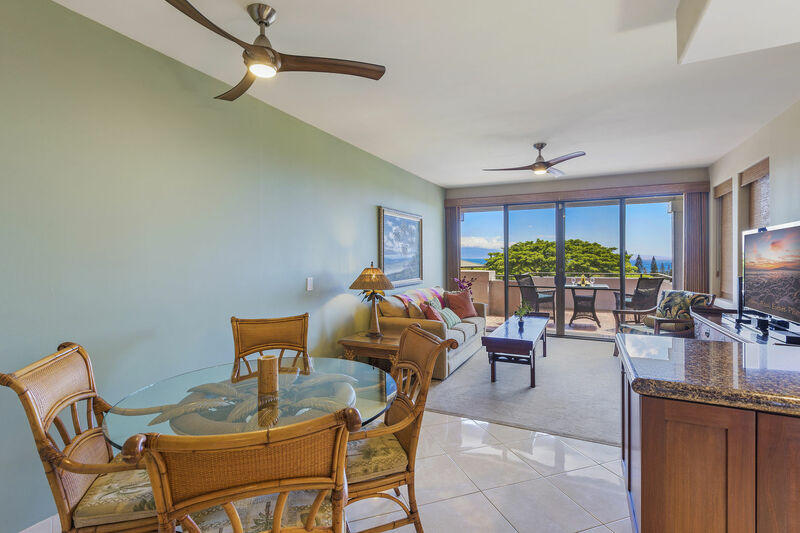 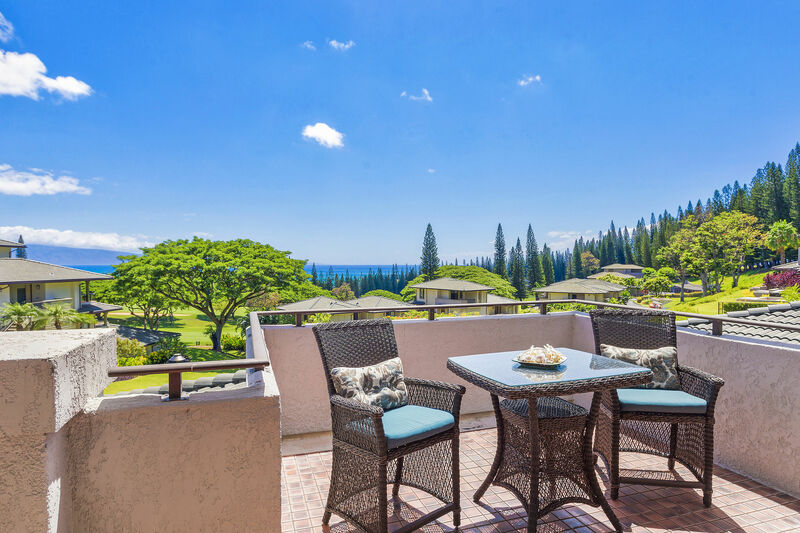 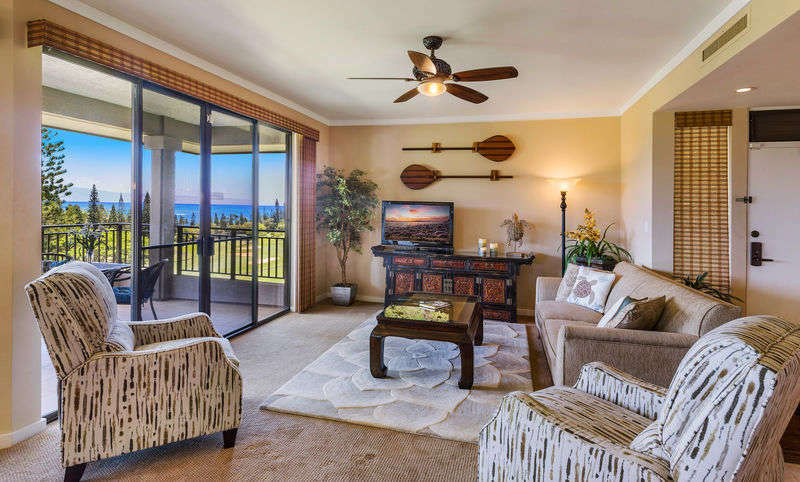 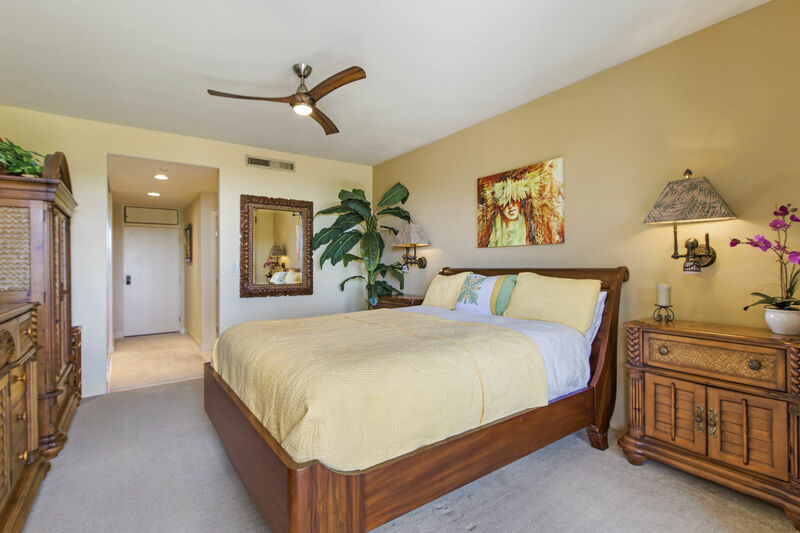 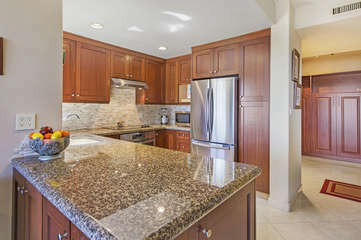 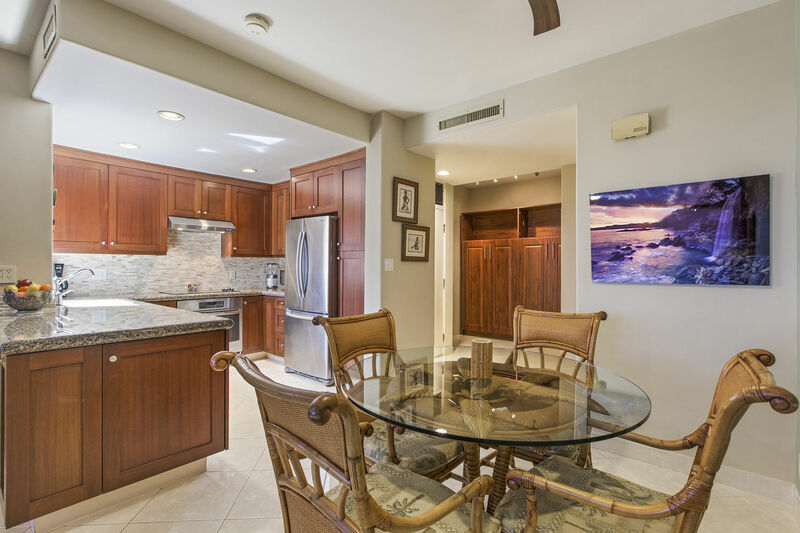 This unique 'Gold Standard' villa in building 20 is situated in the center of the Kapalua Golf Villa complex. 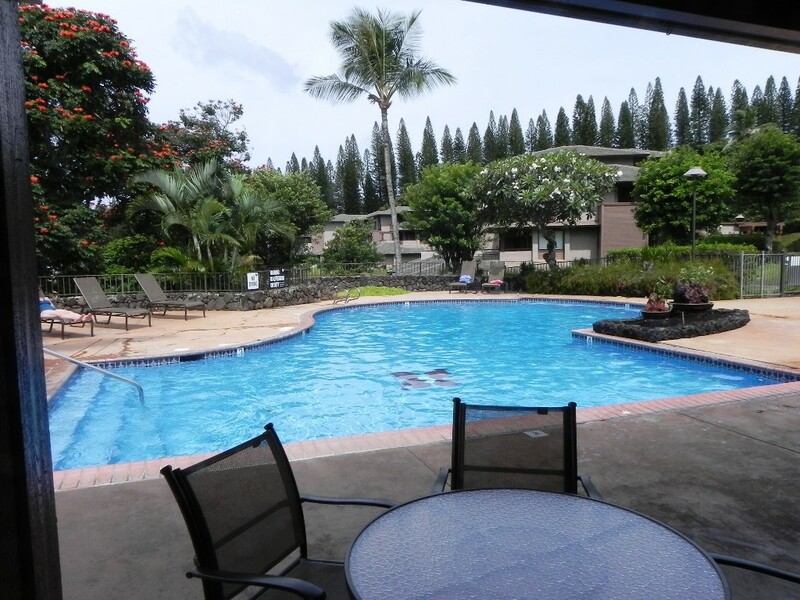 It is a couple of doors down from the largest pool, one of four on property, in the complex. 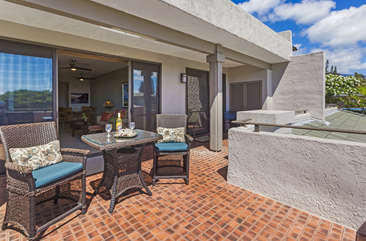 This villa is 'perfect' for those who can't or don't like to walk more than 30 ft from their designated and covered parking spot. There are no stairs as the entire villa is all on one level accessed from parking level at rear of building but technically the second floor as you walk thru out onto the lanai. The entire complex is built on a west facing hillside so there are year round sunset views to be enjoyed. 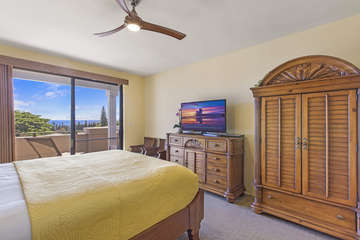 It has been completely remodeled with nice upscale furnishings including: LAZY BOY queen sleeper sofa w/ air bladder over coil mattress, surprisingly comfortable, KING size bed in master bedroom, upgraded AC system, 55' LED TV w/ sound system in LR, Nice lanai furniture, Clean quality linens, fresh towels and plenty of nice housewares in the kitchen. 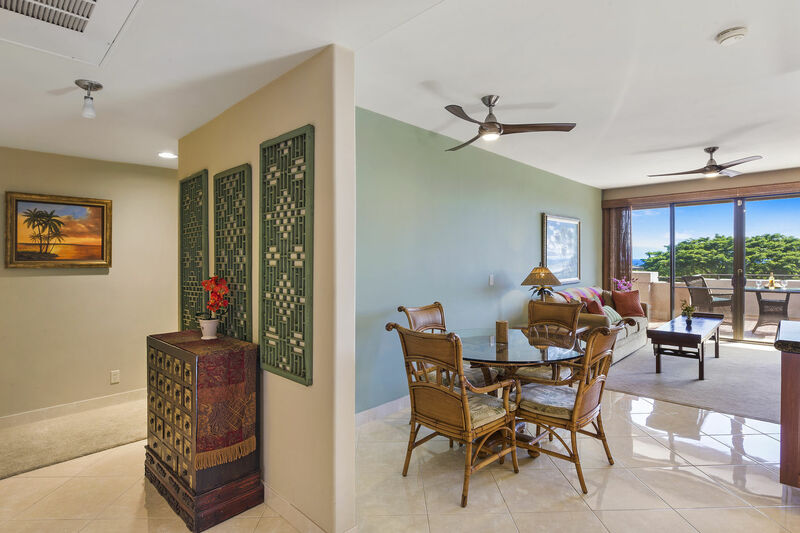 This villa can comfortably sleep up to FIVE people and is 'perfect' for those who love privacy, serenity and romantic upscale accommodations with on call 'Concierge' services. 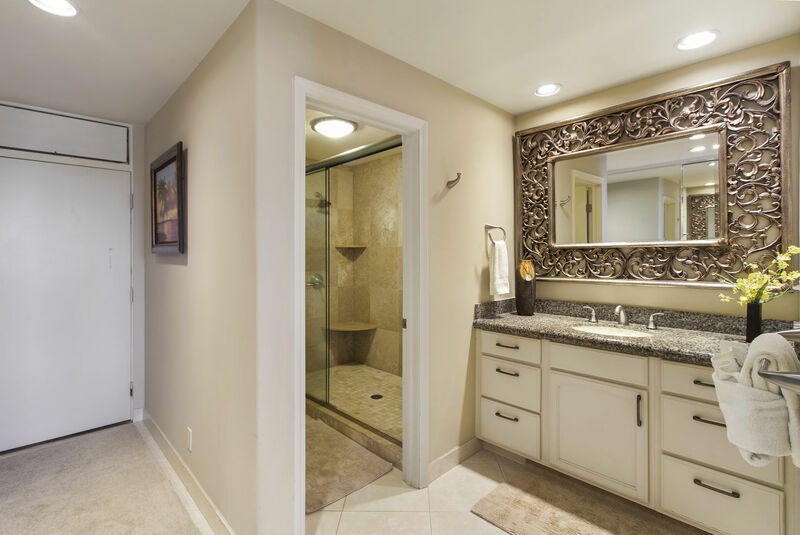 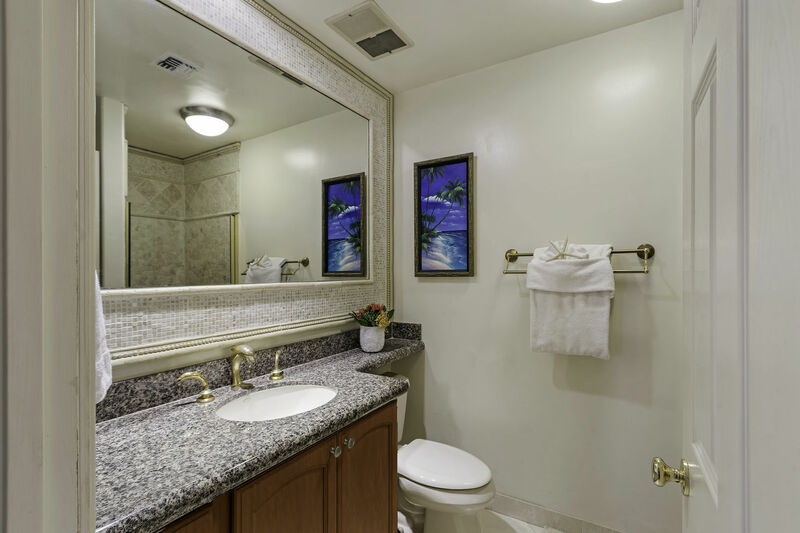 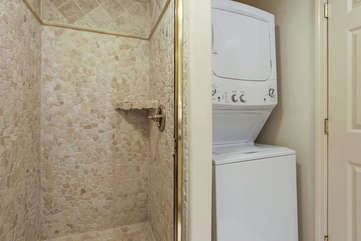 There are two bathrooms with walk-in showers including the spacious travertine master shower with two valves and two shower heads for those who don't like to shower alone. 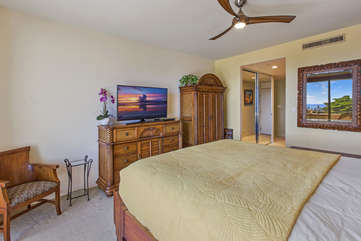 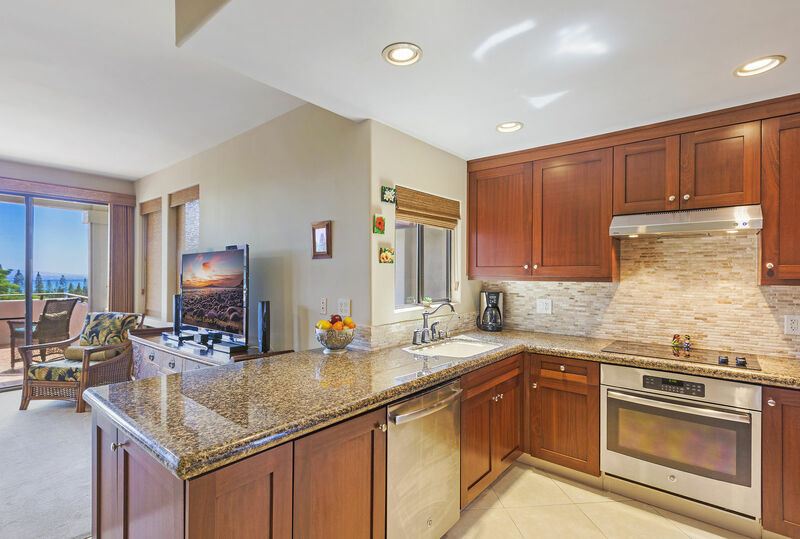 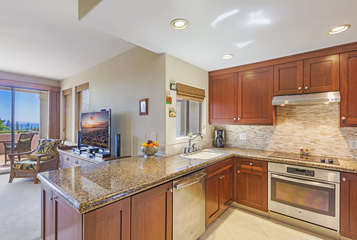 There are large LCD TV's in both the living room and in the master bedroom. 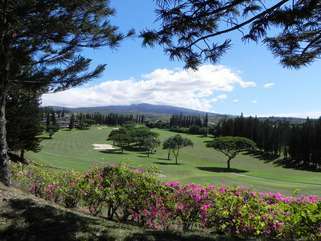 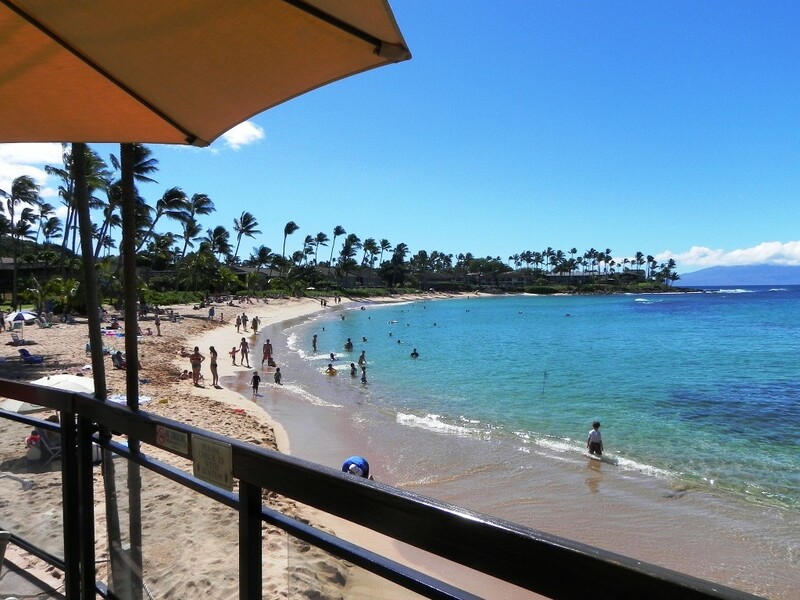 ~ Free parking, Resort Shuttle & No Hidden Fees! ** Please note that a cleaning fee of $175 + tax will be charged for Hale O 'aka'aka.